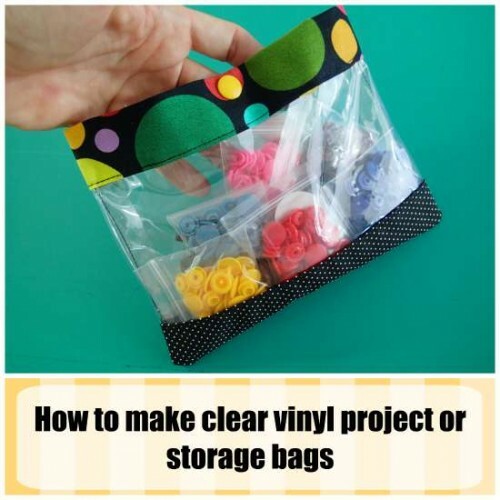 Clear vinyl bags or pouches are very handy for sorting and storing small sewing supplies. You can quickly see what is in all of the bags without having to open them. But sometimes you need bigger bags and ones with a totally closed top. So give it a try with a zipper and a small gusset at the bottom for a bit more volume. Perfect to put your fabric, pattern, zipper and thread together for future project planning. Find the clear vinyl zipper bag tutorial here.